The contract is estimated to be worth £370m and will run for eight years. Two of the bidders are current holders Serco as NorthLink and Calmac – the third is not known. 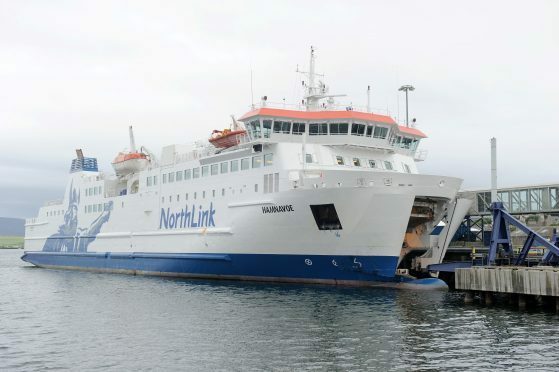 Minister for energy, connectivity and the islands, Paul Wheelhouse, said: “Issuing the Invitation to Tender marks the next stage of the process to award the new contract to operate the Northern Isles Ferry Services. “The Scottish Government remains fully committed to high quality ferry services to the Northern Isles. “A key benefit of this new contract is the in-built flexibility, allowing the ferry services to be amended to reflect future changes in demand across the important sectors of the islands’ economies – tourism, fishing, food and drink, aquaculture and farming. Orkney and Shetland Isles MSP’s Liam McArthur and Tavish Scott said: “The timescale is very tight indeed given the operator needs to be up and running the North Isles lifeline ferry services in 10 months’ time. “It is essential that companies make constructive bids with improvements to the existing service. It must, in particular, recognise the growing freight volumes that are being exported south to the Scottish mainland.